When MotorTrend road test editor Chris Walton first drove the thoroughly refreshed 2017 CX-5 in the spring of 2017, he came away impressed. 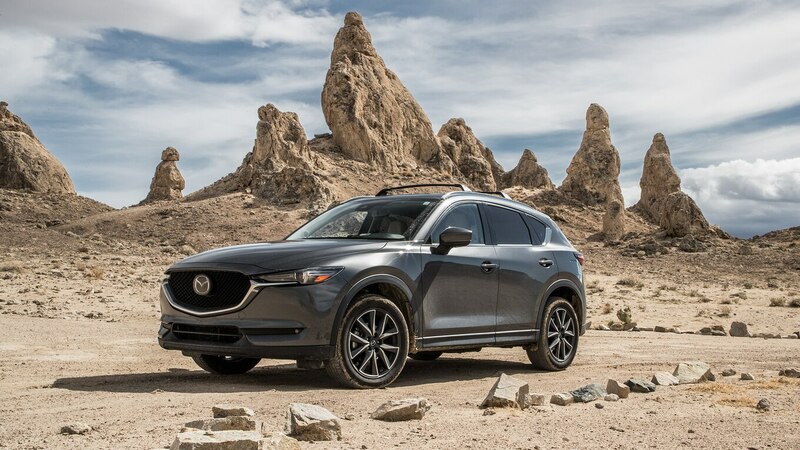 Mazda improved on an already winning package (the previous generation won a comparison), adding a quieter, more refined interior, sharp new exterior, and retaining its fun factor. In June 2017, the 9,550 CX-5s sold made up 42.7 percent of all Mazdas sold that month. The vehicle is Mazda’s bread and butter, so we had to have one for a year to see how the redesign would hold up. From the first week with the CX-5, I knew I would like it. My previous long-termers needed a few months to convince me of their worth, but the CX-5 won me over pretty quickly. I was struck by its curb appeal: Its chiseled face and character lines gave it an upscale look, and the optional Machine Gray paint sparkled in direct sunlight while the LED headlights, foglights, and taillights add to the luxurious look at night. The looks have aged nicely, as opposed to some rivals whose jarring lines and creases have already gotten a bit old. I, along with almost every first-time passenger, was also impressed by the interior’s simple elegance. Passengers were always surprised to find that level of luxury in a Mazda; I think the white leather makes it feel more upscale than the all-black interior, which can look a bit bland. Speaking of that white leather, it held up better than I thought it would after almost 30,000 miles. It didn’t get as dirty as I expected, and by no means do we baby these cars. The CX-5 gets passed around, and it’s been used to haul tons of photo gear haphazardly thrown in. Broken trim pieces and scratched leather are common in a support car, but neither had happened before the CX-5’s year was up. Other things I appreciated were the 40/20/40 split rear seats, which made hauling long Ikea boxes and our helpers during a recent move a breeze. It was also very quiet at highway cruising speeds, a welcome trait for my ears on the many long road trips over the year. It’s as quiet as a Lexus NX cruising at 65 mph, according to a recent MotorTrend comparison. Mazda’s adaptive cruise control also aided in reducing my stress while sitting in traffic during my commute home. The system works well in stop-and-go traffic, and it was smooth enough to let me relax a little bit. It was great for commutes, but when I had to chase a couple of Workshop 5001 Porsches or a Mustang PP1 and Camaro 1LE up some twisty roads to shoot, it demonstrated it still had the fun and playful chassis we came to love in the previous CX-5. It also proved it can tackle some light off-roading when we took it on a 1,700-mile road trip through Utah. There are a few things that keep the CX-5 from being the perfect ride. The engine felt underpowered, especially with a car full of people (learn about the 2019 model’s new, second engine option here). Gas mileage was also a bit underwhelming at 24.7 mpg after 28,307 miles compared to our long-term CR-V, which averaged 28.6 mpg over 12 months and 20,447. The seats are too flat and lack support, and the seat bottoms feel a tad too short. The front USB plugs are only 1.0 amp, which made for very slow charging compared to the 2.1-amp second-row USBs. I would sometimes run a phone cord to the rear USBs for faster charging. Apple CarPlay and Android Auto would’ve been nice to have, as well, but Apple CarPlay is now available for the 2019 model year. I also couldn’t stand the overzealous blind-spot monitoring that would warn me of cars that were two or three car lengths back. 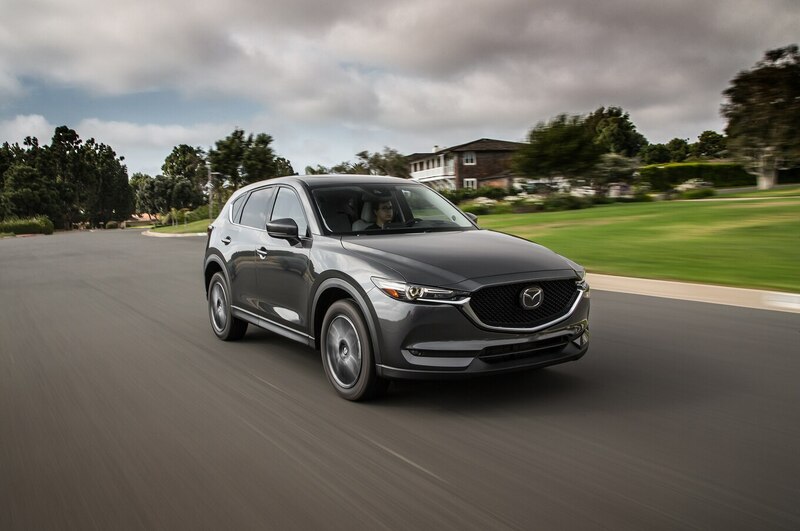 The CX-5 went in for four scheduled services, which cost $340.57. For comparison, our 2015 CX-5 cost a total of $320.37 for three service visits, and our 2017 Honda CR-V cost $417.60 for two, not including the unscheduled battery and differential fluid change. IntelliChoice calculates a five-year cost of ownership of $36,310 and gives the CX-5 an average value rating. A CR-V Touring AWD would cost a similar $36,484 over five years, so the Mazda’s cost is on par with its competition. From downtown L.A. to off-roading in Canyonlands National Park to chasing purpose-built Porsches on Malibu canyon roads, the CX-5 has proven to be a well-rounded ride. It’s stylish, a decently capable off-roader, loaded with convenience and luxury features that rival crossovers from more luxurious brands, yet it’s been trouble-free and has held up well over our time with it. If I were in the market for a small crossover, the CX-5 would be at the top of my list. 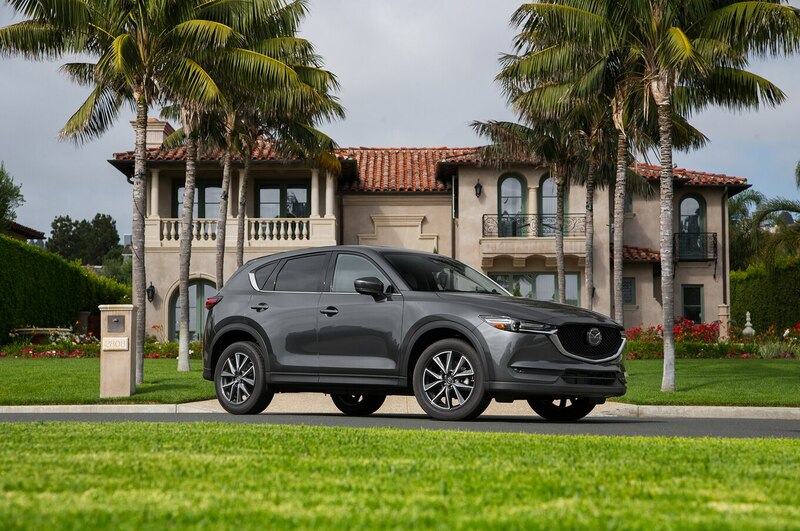 According to Mazda’s November 2018 sales numbers, its improved formula is selling better than ever, with 10,882 CX-5s sold in November, up 20.6 percent YTD. Now that Mazda has added the 2.5L I-4 turbo from the CX-9 and Mazda6 as well as Apple CarPlay and Android Auto, the CX-5 is a sure bet in my book. The post 2017 Mazda CX-5 Long-Term Verdict appeared first on MotorTrend. Next Next post: F1 : le grand prix du Mexique sur la sellette ?